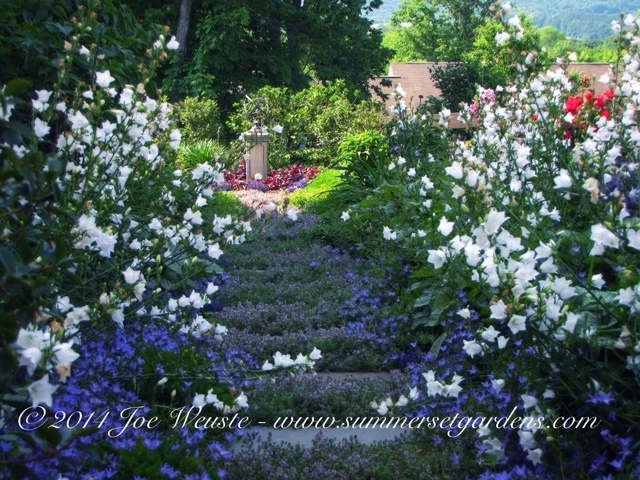 Garden Design: A garden path through a perennial garden. A beautiful late spring-early summer morning. The Thyme and Campanula is in full bloom. This perennial garden is ever changing.